Home / College / What would the All-Time Big East Standings look like? What would the All-Time Big East Standings look like? Long live the old Big East. 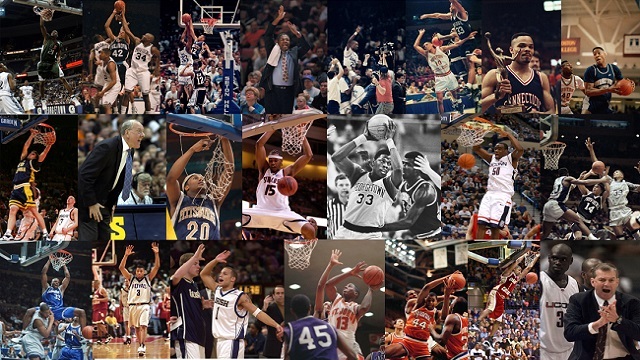 No disrespect (actually, scratch that—disrespect) to the ACC and the Big Ten, but in our humble opinion, the Big East was the greatest basketball conference of all-time. Unlike the preppies in the ACC like Duke and Carolina, or the bluebloods elsewhere, who represented the ivory-towered, stained-glass window college basketball establishment, the Big East was real, hard-nosed basketball. It represented the grit and toughness of the East Coast, from hardscrabble playground courts in New York City to snow-blanketed Syracuse, to Connecticut to D.C. to Philly. It was real East Coast basketball. Tough, talented, straightforward. When a report surfaced last week that UConn had discussions with the new Big East about re-joining the conference, it made us a little bit nostalgic. Sure, the conference today isn’t what it was–not with DePaul and Butler and Creighton and Xavier, all of these mid-major-leaning programs with no history in the conference. But it got us thinking: Now that the old Big East is gone, which program can claim bragging rights? What would the all-time standings look like, if you combined the regular season records of every school that spent at least a decade in the league? We started with the inaugural campaign of 1979-80, and counted through 2012-13, the last year before the league split into the new Big East and the American Athletic Conference. We’re only including schools that spent at least 10 years in the conference—so you won’t find Virginia Tech, Louisville, Marquette, Cincinnati, South Florida or DePaul on this list. Jim Boeheim may have fewer national titles than Tyler Olander, but you can’t dispute this—he’s the greatest regular season coach in Big East history. The nasaly, bespectacled, zone-defense pusher has kept Syracuse near the top of the college basketball world for four decades, and his 34-year run in the conference was nothing short of amazing. ‘Cuse posted double-digit wins 25 times in their 34 years in the Big East, and had just two (2!) losing seasons (1981 and 2006, when they went on to win the Big East tournament behind the spectacularly lucky Gerry McNamara). Though some of the wins have been officially vacated by the NCAA, let’s be real—they happened. You can’t take them away. The Orange(men) may not have finished the deal as many times as UConn, but they do rank No. 1 in these all-time standings. Most people might have guessed that the Hoyas would come out on top of this list, as the legendary John Thompson was the alpha-coach early in the conference’s history. Georgetown’s mid-1980’s teams with Patrick Ewing were inarguably the best the Big East has ever produced, making back-to-back trips to the national championship game and taking home the 1984 title. The Hoyas fell on hard times when Thompson retired, as replacement Craig Escherick couldn’t quite keep his head above water (as is often the case when replacing a legend). But Thompson’s son resurrected the program in the mid-2000’s, bringing the Hoyas back to the Final Four in ’07 and putting together seven double-digit winning seasons towards the end of our era. If it weren’t for a seven-year stretch at the beginning of UConn’s time in the Big East, the Huskies would top this list. Connecticut went 32-80 in league play from 1982-89, but after the “Dream Season” of 1990, UConn finished 275-130 (.679 winning percentage). The Huskies won five Big East regular season titles, three Big East tournament titles, and three national championships (in that era). Though he doesn’t get as much recognition as Thompson or Boeheim, Jim Calhoun accomplished more—in a more unlikely place—than the two patriarchs of the league. It’s funny how the Huskies were barely mentioned in ESPN’s “30 for 30” “Requiem for the Big East,” (also wonder where they got that title). UConn is as much a part of the Big East’s success story as anyone else, and if there were an all-time Big East tournament, they might be our pick to win it. The Huskies and Hoyas own the record for most Big East tourney titles, with seven apiece. For those of us who grew up during the Steve Lappas era, it might be a little bit surprising to see the Wildcats in at No. 4. But ‘Nova, which has reached new heights under Jay Wright, had a terrific early history under Rollie Massimino, winning 54 conference games during a five-year span from 1981-86, including a stirring run to the ’85 national championship (even though that came as an 8-seed, with a 9-7 finish in conference play). The Wildcats were up and down in the ’90s, but Wright’s steady guidance beginning in 2001 was enough to move ‘Nova into the top four. The Irish don’t immediately come to mind when you think about Big East basketball, but the fact that they ended up here is a testament to just how good of a coach Mike Brey was. In fact, a fifth-place finish in these standings is apropos for what Notre Dame accomplished during its time in the conference. Brey’s teams were always sneaky-good, tough to beat, and consistently finished in the upper half of the standings. The Irish posted 10 winning seasons in the conference’s final 12 years, including two 14-4 campaigns. They did all of that without many NBA players, and while operating in the shadow of one of the most vaunted football programs in the country. Impressive. The Panthers would have found themselves towards the bottom of these standings if they were published in the late ’90s. Between 1991 and 2000, Pittsburgh mustered just one winning season in conference and consistently found itself finishing near the cellar. But then Ben Howland showed up, and everything changed. He gave Pitt its culutre of toughness and defense, and that attitude set the school on an unprecedented run of success over the next decade-plus. Pittsburgh didn’t miss a beat when Howland left for UCLA, operating like a finely-tuned machine under Jamie Dixon. The Panthers reached the Big East championship game seven times in eight years from 2001-08, and won a conference-best 141 games in 12 years. One of the most successful programs in the Big East’s early days, St. John’s had just four losing seasons in their first 22 years in the conference. The legendary and colorful Lou Carnesecca won three Big East Coach of the Year awards and guided the Redmen to 12 NCAA Tournament appearances, including the 1985 Final Four (which Georgetown and Villanova also reached). Mike Jarvis had things rolling in Jamaica for a while, too, bringing the Johnnies to the Elite Eight behind Ron Artest in 1999. But after the turn of the century, the program fell apart, managing just one winning season (12-6 in 2012) in its final 11 years and sending the program freefalling in these standings. If we stopped counting in 2001, St. John’s would rank in the top three in winning percentage. Instead, they’re seventh—indicative of a once-proud program that has fallen on hard times. The Mountaineers were brought in for football, but they held their own on the hardwood as well, closing their time in the league with eight non-losing seasons, highlighted by a Big East tournament championship in 2010. Morgantown was consistently one of the toughest places in the league for opponents to win, regardless of whether or not WVU was a factor in the league. If not for their last two coaching hires (John Beilein and Bob Huggins), the Mountaineers likely would have finished further down in these standings. Beilein orchestrated the school’s most improbable NCAA Tournament run in recent history (the 2005 Elite Eight led by the unforgettable Kevin Pittsnogle), and proud alumnus Bob Huggins delivered them to the Final Four in 2010. WVU went 74-48 in league play from 2006-13, pushing them past the .500 mark all-time. The Hurricanes were also added mostly for football, but Miami was respectable on the hardwood too, especially in the late ’90s under Leonard Hamilton. The ‘Canes went a combined 27-5 in conference play from 1998-00, reaching the Sweet 16 for the first time in school history in 2000. Hamilton bolted for Florida State the following year, and the program slinked back to mediocrity. Still, the Hurricanes were a respectable opponent for years and a tough road trip for any league contender. It’s fitting that the school that dealt the first traitorous blow to the conference’s existence finds itself near the bottom of these standings. If it weren’t for BC bolting in 2005, there might not be reason to write this article. 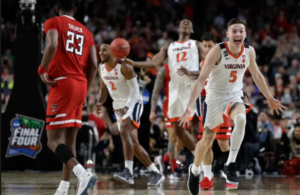 It’s karma that the Eagles have been utterly atrocious since joining the ACC, becoming the first team in 40 years to go winless in conference play in both football and men’s basketball in 2016. 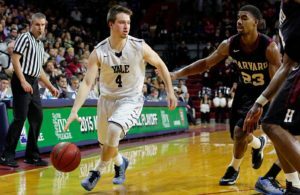 BC’s time in the Big East was never quite that bad, but it wasn’t exactly exemplary either. The Eagles were awful in the late ’80s, bad again in the late ’90s, and otherwise just mediocre. They’ll be remembered for an Elite Eight run in 1994, a bunch of Curley brothers, and Troy Bell. And for being the first domino to fall in the appaling, conspicuous money-grab that is conference realignment. Providence is a proud program that has seen some euphoric moments in its history—including reaching the Final Four in 1973 and 1987. But the Friars rarely flourished in the nation’s toughest conference, managing just six winning seasons in 34 years and enduring some long stretches of futility. Rick Pitino guided the ’87 Friars (including point guard Billy Donovan) to the Final Four, but after he left to coach the Knicks the next season, PC finished under .500 in league play. They wouldn’t post another winning record in the Big East for until 1993-94. 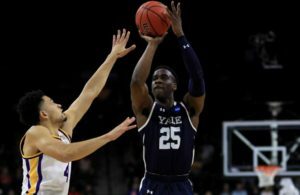 There were some brief flashes of success, including an Elite Eight appearance in 1997 behind God Shammgod and Austin Croshere, but winning was always the surprising exception rather than the rule. Hard to hate on Dickie V’s alma mater, but the Hall spent most of its years in the Big East at the bottom of the standings. Seton Hall didn’t post a winning conference record until its 10th season in the league, and went 18-96 from 1979-88. Future NBA fixture P.J. Carlesimo slowly built a national contender out of the perenially undermanned group, guiding the Pirates to the 1989 national championship game, where they fell one horrendous foul call short of a national title. The Pirates turned into a Big East contender for a few years after that, but after Carlesimo left the school for the Portland Trail Blazers in 1994, they never recovered. The ‘Hall has won just three NCAA Tournament games since P.J.’s departure. Last year’s Big East tournament championship run only serves to prove just how watered-down the league has become. In 18 seasons of membership, the Scarlet Knights never finished with a winning conference record. They only finished .500 twice (1996-97 and 2000-01), and cycled through six different coaches in an effort to escape the cellar. That effort was futile. Sure, the RAC was always a tough place to play, but not quite tough enough to make a dent in the standings. Just qualifying for the Big East tournament was an accomplishment for Rutgers, which hasn’t made the Big Dance since 1991 and hasn’t advanced in the tournament since ’83. The greatest moment in their conference history might have been a game-winner by Geoff Billet to get them to the ’98 Big East tourney semifinals. But hey, at least some current Rutgers coaches also coached Ray Allen, Richard Hamilton, Jeremy Lamb, Shabazz Napier and Andre Drummond, right? Get at me, Poindexter Maguinty.